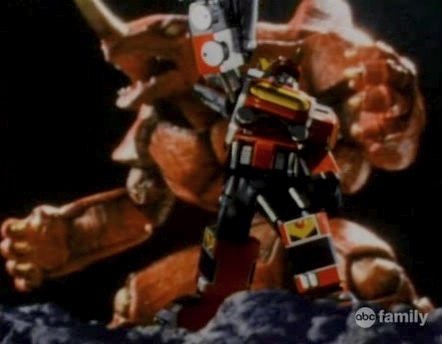 The Galactabeasts appeared to be living giant creatures1; they allied themselves with the Galaxy Rangers2. 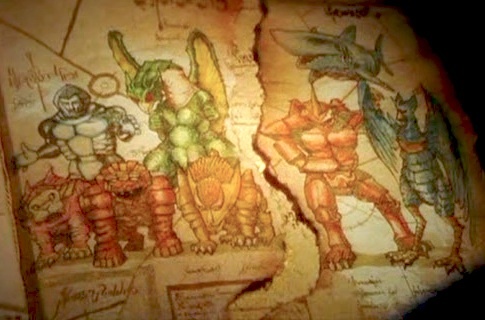 The term "lost Galactabeasts" refers to three additional Galactabeasts which "lost their powers" (died?) 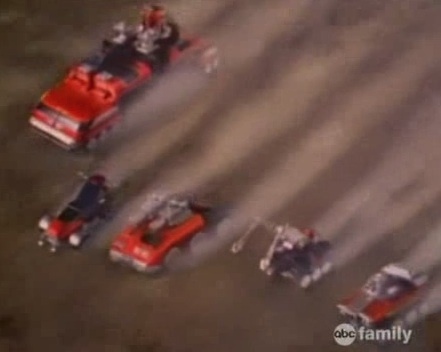 during a "great battle"; Deviot later rebuilt them into Zords6. 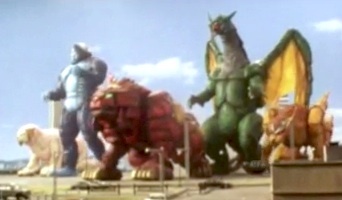 All eight Galactabeasts were depicted in the Galaxy Book7. 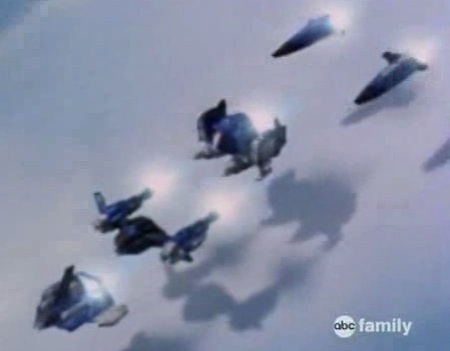 Soon after becoming a Galaxy Ranger8, Maya followed the Wolf's distant howl to a planet where Scorpius's forces were holding the Galactabeasts in giant cages9. 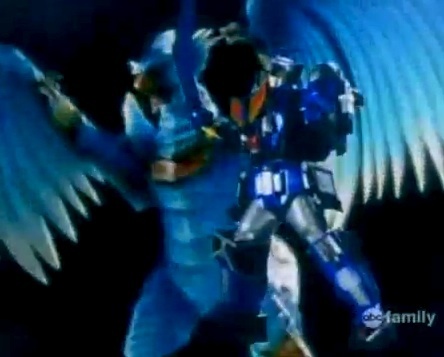 Maya related the Galactabeasts' gratitude to her team10, and soon, the beasts began helping the Rangers against giant monsters on Terra Venture11. 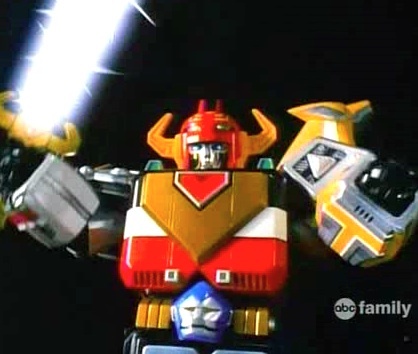 The Rangers later found the Transdaggers were able to transform the Galactabeasts into Galactazords12, and the Galaxy Megazord gained a powered-up form when the Rangers acquired the Lights of Orion13. 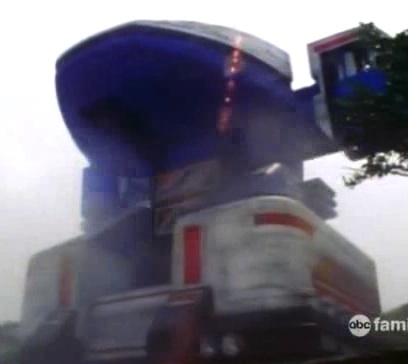 Later, Deviot arrived with evil Zords (Centaurus, Stratoforce, and Zenith)14, but the Zords eventually allied with the Rangers (remembering their past selves?)15. 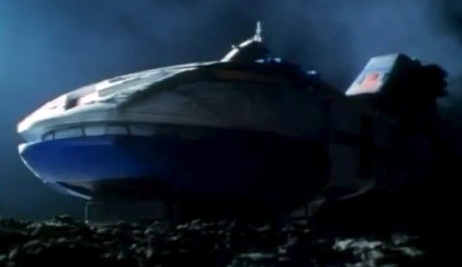 Following Terra Venture's crash on Mirinoi's moon16, Centaurus and Stratoforce were blown apart by a swarm of detonating Stingwingers17 The Galaxy Megazord (apparently acting on its own) then helped to slow the city dome as it hurtled toward the planet below; following the explosion of impact, the Galactabeasts were seen to have survived18. 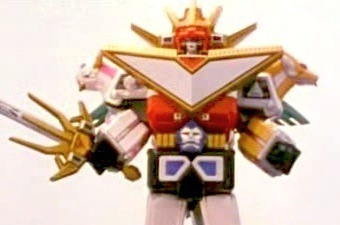 As the Galaxy Rangers and Lightspeed Rangers battled Trakeena on Earth, the Galactabeasts arrived to help; they formed the Galaxy Megazord but were soon knocked down in Galactabeast form during an explosion which failed to destroy Trakeena; the Omega Megazord then defeated her while using the Orion armor usually used by the Galaxy Megazord19. 1. Race to the Rescue, et al. 2. Race to the Rescue, et al. 5. Shark Attack, et al. 11. Race to the Rescue, et al.